Both safe and elegant, the Mazda6 is great for families as well as the adventurous driver. 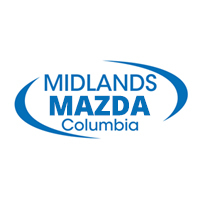 When you’re ready to make the decision, drive over to Midlands Mazda so you can test drive one for yourself! Red Crystal 2018 Mazda Mazda6 Sport FWD Automatic 2.5L 4-Cylinder 26/35 City/Highway MPG Midlands Mazda is proud to be your #1 source to buy Mazdas in Columbia, Lexington, Irmo, West Columbia, Lugoff, Camden, Sumter, Newberry, and Chapin South Carolina. Our Obsession is Your Satisfaction. Snowflake White Pearl 2018 Mazda Mazda6 Sport FWD Automatic 2.5L 4-Cylinder 26/35 City/Highway MPG Midlands Mazda is proud to be your #1 source to buy Mazdas in Columbia, Lexington, Irmo, West Columbia, Lugoff, Camden, Sumter, Newberry, and Chapin South Carolina. Our Obsession is Your Satisfaction. In addition to its many great features, the Mazda6 is a great choice because of its reliability. Edmunds notes that the Mazda6 is a “competent, comfortable and sensible midsize family sedan.” Select from a variety of trim levels such as the Mazda6 Grand Touring, and be sure to contact us if you have any questions. Make the drive from Irmo or West Columbia so you can get behind the wheel of your own Mazda6 today. Check out Mazda i-ACTIVSENSE® to further improve your Lexington drive, and compare it to the Honda Accord to learn more! Don’t forget to explore our current Mazda6 lease deals to get this model with a flexible plan. Check out the Mazda6 accessories to learn more!